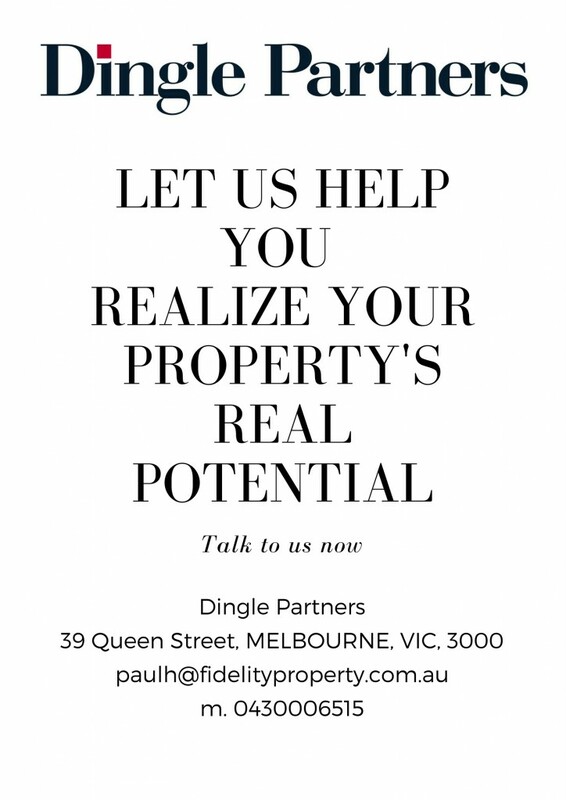 Dingle Partners recognises the importance of maximising the return on investment for our clients or preparing a property for sale, and as leading Sales Agent and Property Manager of one of central Melbourne’s largest property portfolios, we are perfectly positioned to assist our clients realise their property's sale or investment potential. 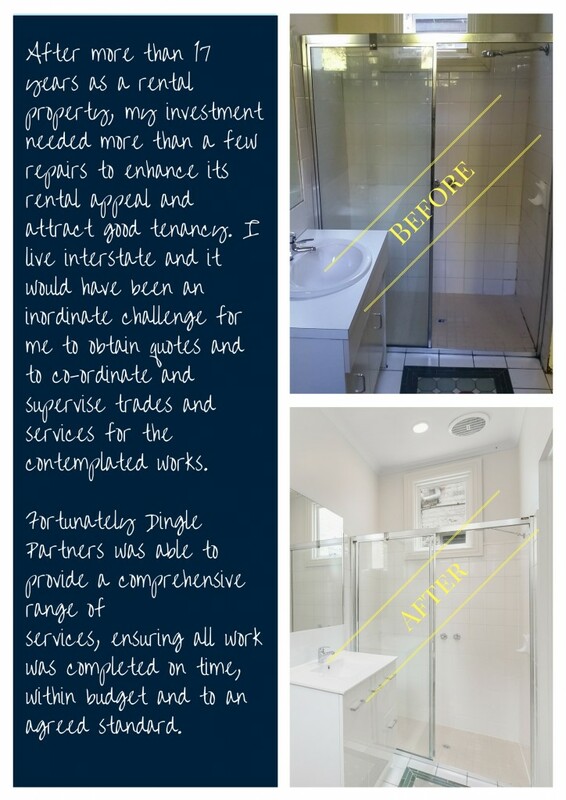 Sound investment in ‘Bricks and Mortar’ requires a balance of cost and income streams. 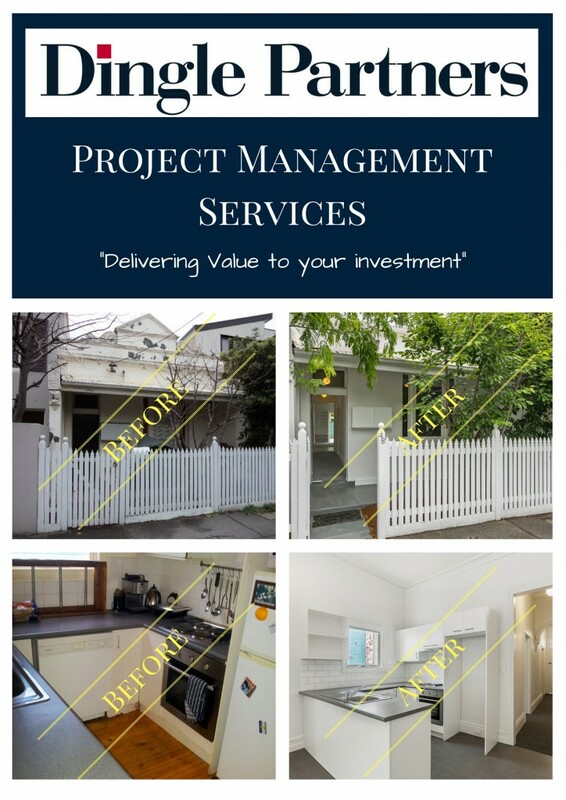 Our highly experienced Property Management Team is able to identify properties in which an improved asset condition would yield a net positive result. 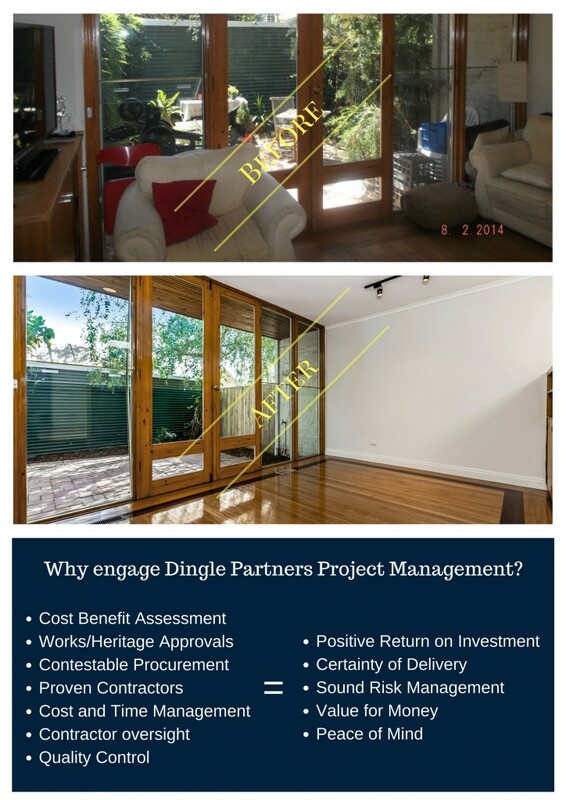 Complimenting Dingle Partners mature Sales and Property Management services, we also offer Project Management Services to our clients with a key focus on certainty of delivery and budget. 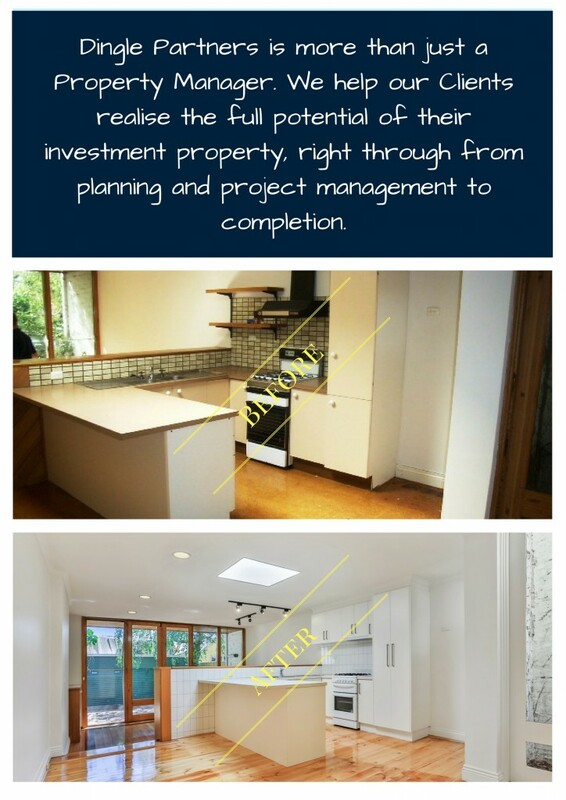 Furthermore, we assist our clients in the business case, planning and execution of these projects….our proven track record speaks for itself. 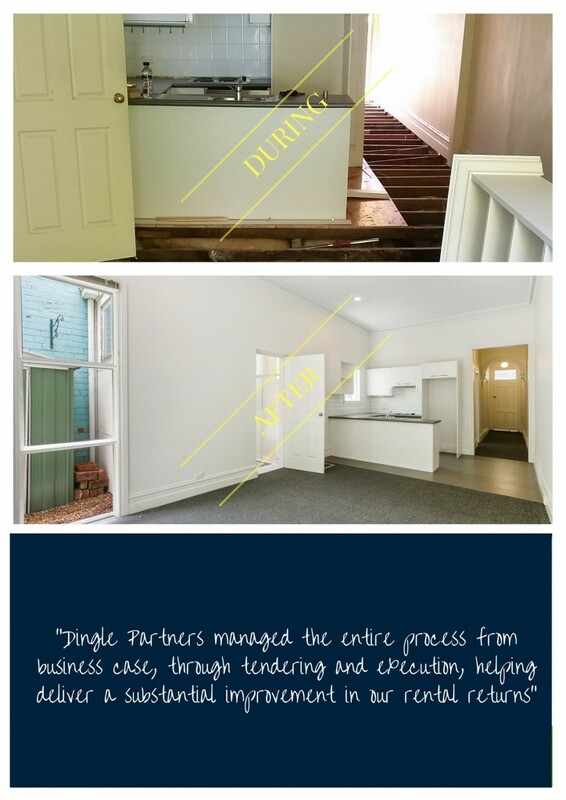 Should your property fit this bill and you are looking for the right agent to help with its sale, Dingle Partners can assist you in preparing your property for sale in order to achieve the best possible outcome for you. 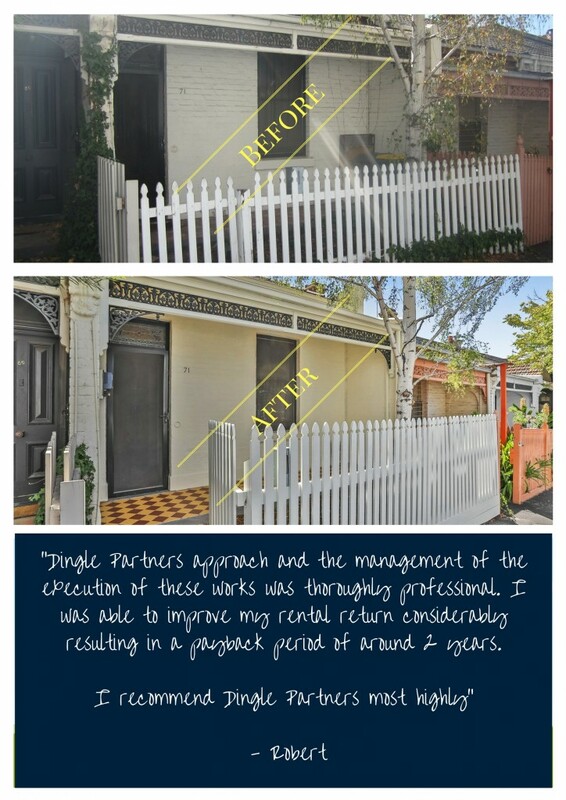 Another reason to choose Dingle Partners as you preferred Sales Agent and Property Manager.